A wardrobe is an essential in-house asset that you should have by all means. 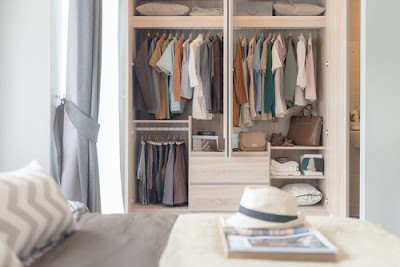 It helps you organize your attire in the best way possible making sure that you that you organize the closet for easier operations. Untidy wardrobe can lead you to become lazy and result in a complete messy room as you end up throwing clothes all over the place from the bed to the floor. Even if no one observes your inner home inner picture, it's not effective as you will develop this bad habit and eventually take it to the entire house. 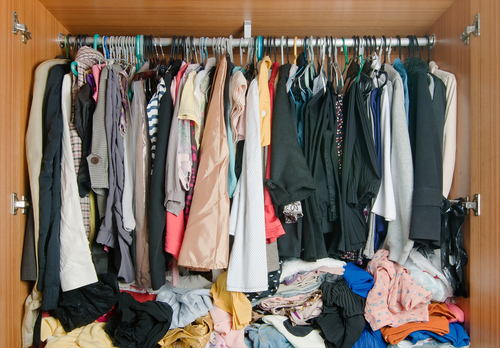 If you maintain a tidy wardrobe, you will have an easy time finding the clothes you need without wasting time or arguing with everyone in the house. To achieve this, here are some useful wardrobe cleaning tips that you need to embrace. Remove everything from your shoes, clothes and any other accessory. Place it on the bed and on the floor on open space to examine everything as this will help you determine what to do next. Start from sorting out the items you don't wear anymore and keep them separate. You can organize the accessories in four categories determining on what to keep, what to store, sell or even donate. Organize the clothes that you still use in the close depending style, color or season. Try everything as you sort out and let go any item that does not fit you anymore. If you have quality and expensive clothes and accessories that you don't see the need to keep anymore, you can sell them online or at the local shop or even donate to the needy in charities around you. After sorting out, you can't put back these items in the wardrobe, but you need to have the trash bag for putting the clothes you are donating, a treated storage box for those off-season clothes and accessories and a clean box for the clothes you are willing to sell. It is always good if you get used to hanging as many clothes as possible in a neat way. If possible, use the slim hangers as it allows you to hang more clothes. This is very important as it allows you to see the clothes easily and you are more likely to wear the clothes which you see at first glance. When hanging, it is important to use the backward hanging strategy as this will enable you to find what you are looking for easily and also removing easily. Folding clothes maximizes the storage. It is always good for the clothing that can lose shape if hanged for so long like the sweaters. 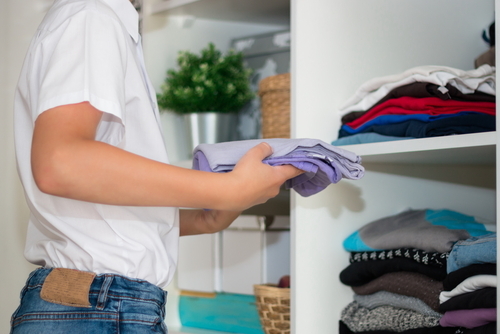 You won't even need to iron folded clothes if you are storing, selling or donating. For the accessories you are selling, you can use this opportunity and take a nice photo which you can upload online to advertise your merchandise. When cleaning your wardrobe, make sure you go everything including belts, shoes, and scarves. Try to put on without necessarily matching with any outfit. If it does not fit you well or out of fashion, you need to dispose off these items by selling or donating. After removing everything from the wardrobe, you need to clean before putting back your accessories. Use a soft cloth to reach all the edges inside the wardrobe. If it had been ignored for quite some time, you might fond cobwebs at the deep corners. Remove the cobwebs and apply the disinfectant used to on clothes to release a pleasant scent. When sorting out the wardrobe accessories, you need to inspect every time and try to remember the last time you wore a certain accessory. If you find that you can't even remember, it means it's out of your first consideration, dispose of right away. Employ some rules such as one year rule whereby you can decide to put on some clothes in a year and dispose of them after the year ends. place where you can access it easily and wear. When sorting out the wardrobe accessories, you need to pay attention and find any damages. If there are clothes that have holes, rips, and stains, keep it away and don't let it mix. You can decide what to do depending on the extent of damages. Things like stains will damage the rest of your clothes and should be thrown away if the stain was not realized early enough and is now permanent. There are some items that you can recycle or repair, and if not possible, you can throw it away right away. You should not use the wardrobe doors for opening and closing purpose only. You can add some creativity and add some pocket like simple storage. You can store some of the small accessories here like your belts, caps, and scarves. This will add you some space and always remember the whereabouts of every single accessory whenever you need it. You can use the floor of your wardrobe creatively by lining your clean shoes under the hanging clothes. This stimulates your ideas, and you can find every little space being used efficiently. You have observed that it's very easy to clean your wardrobe. This gives you a humble time and peace while searching for what to wear every morning. This is part of cleaning that should be kept in mind as it portrays your personality and how you are responsible for organizing your responsibilities. Do not neglect your wardrobe at any one time by implementing the above wardrobe cleaning tips and you will be motivated every day to perform other duties at ease.